Summary about Tanks A Lot! Do you like tanks and tank games? The tanks on the battlefield are the symbol of Germany in war, the weapon of destruction in World War 2. 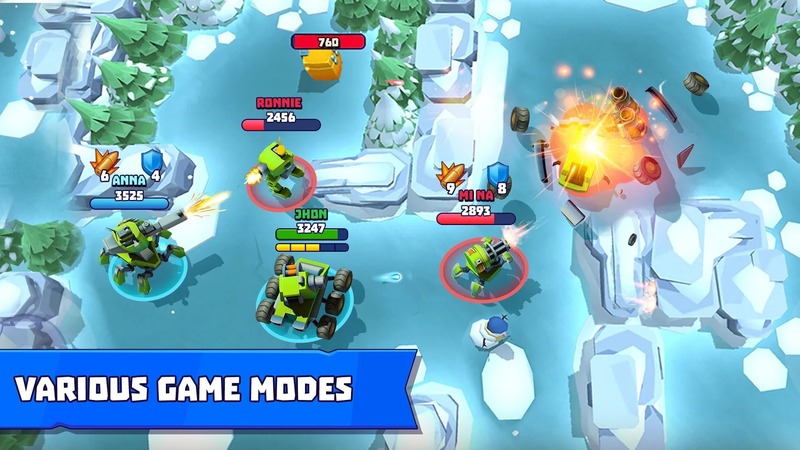 For a long time, players have not seen too many tank games on the mobile games market. Tanks A Lot! (MOD Unlimited Bullets) is a very addictive multiplayer online multiplayer game and has a lot of creativity in the gameplay. When you play this game, you are engaged in the most exciting online 3v3 battles on mobile. Tanks A Lot! 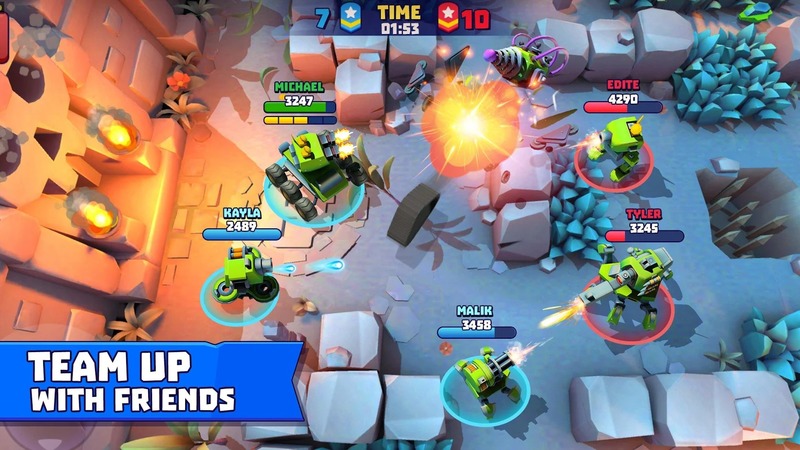 is a real-time tank game published by the publisher BoomBit Games. Unlike trajectory shooting gameplay of Tank Stars, the gameplay of this game is far more direct and crazy. Placed in a large 3D environment, you need to take good control of the tank and use the firepower to defeat the enemy tanks. Your enemies are also other online players, they can have good skills and possess superior strength, so you are not allowed to despise the opponent. Don’t forget, Tanks A Lot! is a 3v3 game. In a chaotic battle, your team’s strength will increase exponentially if you and your teammates stand close together. This strategy is quite effective, but it can be counterproductive if the enemy’s weapon is capable of producing a large radius explosion. In particular, you can take advantage of tussock or rocks on the map. Tussock is a great hiding place that makes enemies unable to see you, rocks and terrain that can block enemy firepower. In order to take advantage, you need to move wisely to put your opponent in good places for your team to attack. One important thing that you need to know, after a period of non-combat, your tank will gradually recover a large amount of HP. When you feel your team is starting to disadvantageous, instead of trying to counterattack, slowly withdraw from the fight to heal HP and regain the balance. Arms System of Tanks A Lot! is very diverse with hundreds of different weapons and tanks. 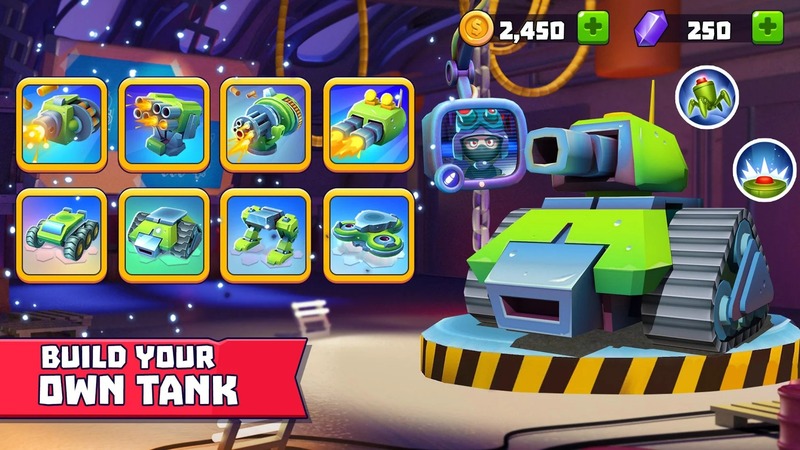 The game is full of bombs, cannons, machine guns and even plasma guns for you to equip your tank. Each weapon has different uses and ranges of activity, so you need to choose the weapon that best suits you and your team’s tactics. First, you have to choose a suitable tank. When choosing a tank, you need to pay attention to the strength, defense and weight of the tank. A lighter tank moves faster on the battlefield but is easily knocked down when attacked by enemies. If you prefer face-to-face combat, use machine guns or mortars. Plasmas for enthusiasts of high-tech weapons and artillery for players who prefer to use long-range weapons. Once you’ve assembled your favorite tank, do not forget to upgrade them to become more powerful. The power and your control are the two main factors that will help you win Tanks A Lot!. Similar to other tank games, Tanks A Lot! has many familiar modes like Deathmatch, Brawl and Battle Royale. With Brawl, you and your teammates have to control and scramble for resources to win. Becoming the last survivor in a Battle Royale mode. Do you like soccer? Get involved in exciting football matches in Tanks A Lot!. But wait, players in this mode are not human but tanks. Is a war game but the graphics of Tanks A Lot! pretty bright and funny. Everything in the game is designed pretty eye-catching, cute on high-quality 3D graphics platform. Images are sharp and realistic. Not so big and scary, the tanks in the game are designed in the same humor as in children’s cartoons. Be a big fan of tank games, Tanks A Lot! has given me a good time. I fight alongside other players around the world, join in the fun battle with them and win (or lose) together. 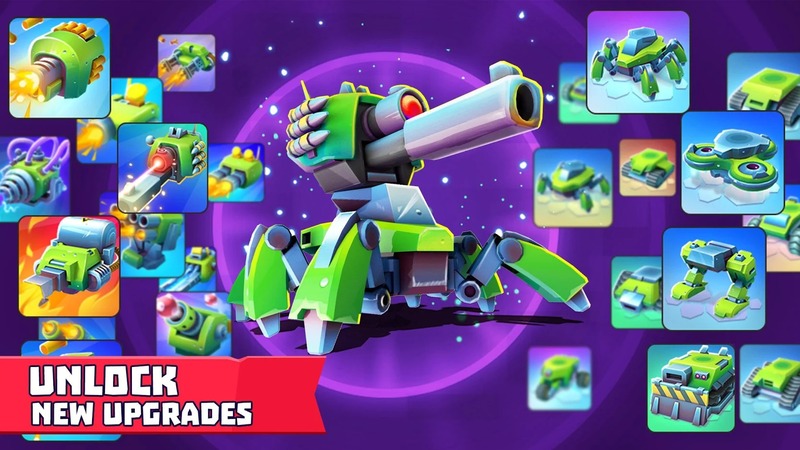 Controlling tanks and defeating enemies has never been an easy task. If you’re ready, download this game to your phone and play with me! Tanks A Lot! MOD APK is ready to download! 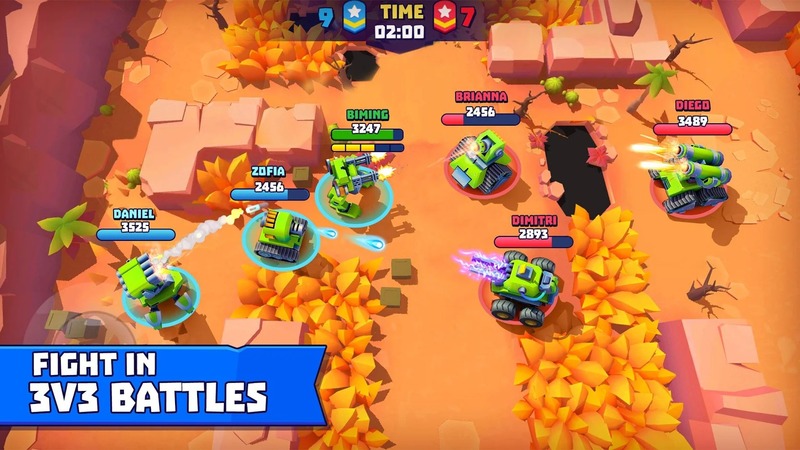 Depending on your needs, you can download Tanks A Lot! 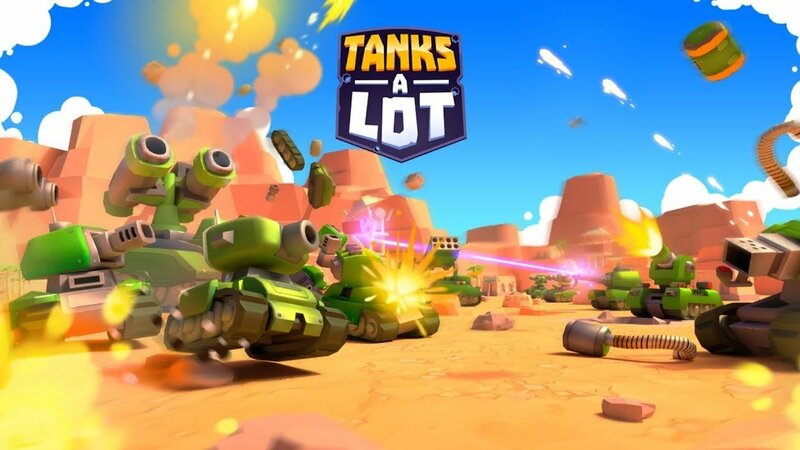 MOD APK or Tanks A Lot! Original APK. Or install from Google Play / App Store if you want.